Posted by Bravado Cooking for Men in Classic American Dishes, Classic Soups, Recipes. 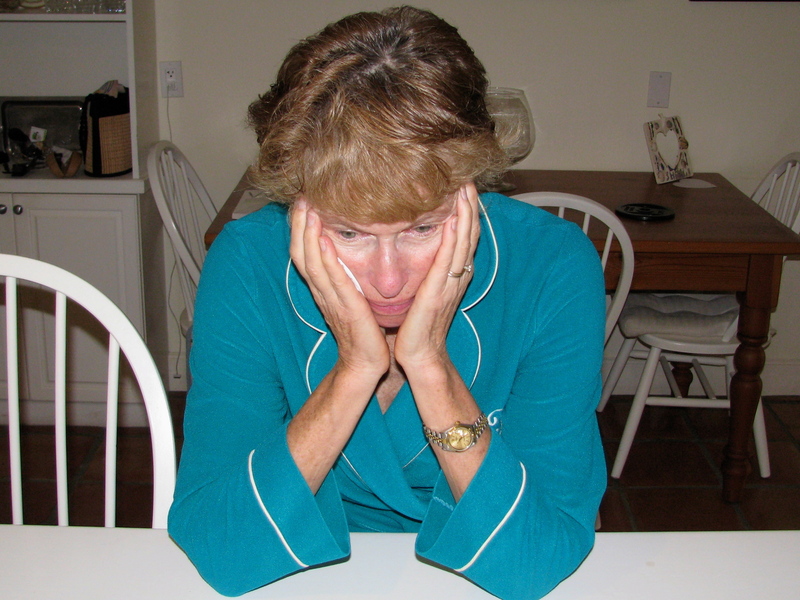 My wife got a cold/flu (Does anyone know what those names really mean?) right after the holidays. I knew it was time for a true Bravado chef to spring into action. When someone doesn’t feel well, they really want some extra attention – cuddling, TLC, and something soothing to eat. Spring into action I did because, as any guy knows, actions in such times will lead to rewards later. When your friends, family or loved ones get sick, it’s your chance to step up and show them the Bravado way to get better and make a lasting impression with a classic dish. 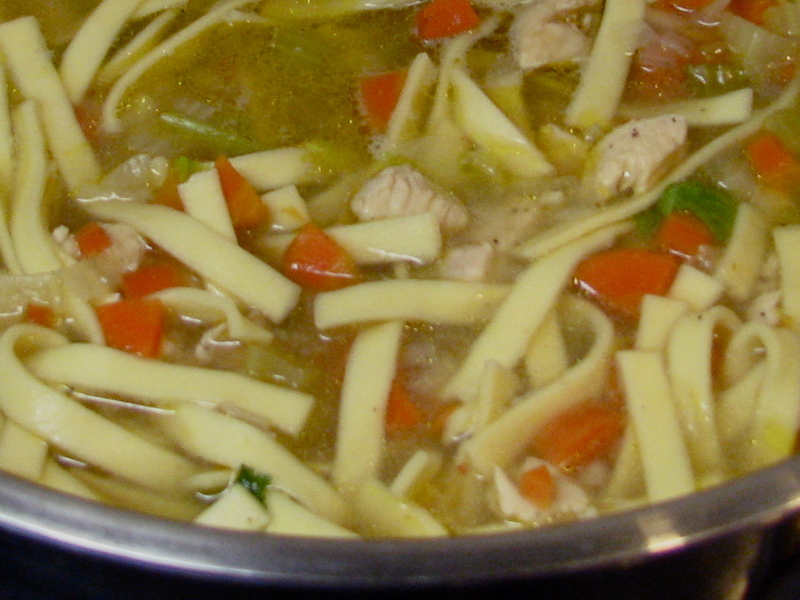 Of course, you have already guessed what it is – chicken noodle soup. This is the age-old remedy that everyone talks about, but very few make from scratch. As a true Bravado chef, that’s the only way we do it – no canned stuff for us. Here is a great recipe from my daughter Sarah, a Ph.D American literature specialist who claims this version comes from the Civil War era. I have visions of soldiers making this soup over the battlefield campfires. The key to this soup is that it has enough red pepper, black pepper and garlic to make the ailing person sweat. It also is surprisingly soothing on the throat. If you are willing to get your lazy self in motion, you can have this wonderful potion on the table in a little over one hour. 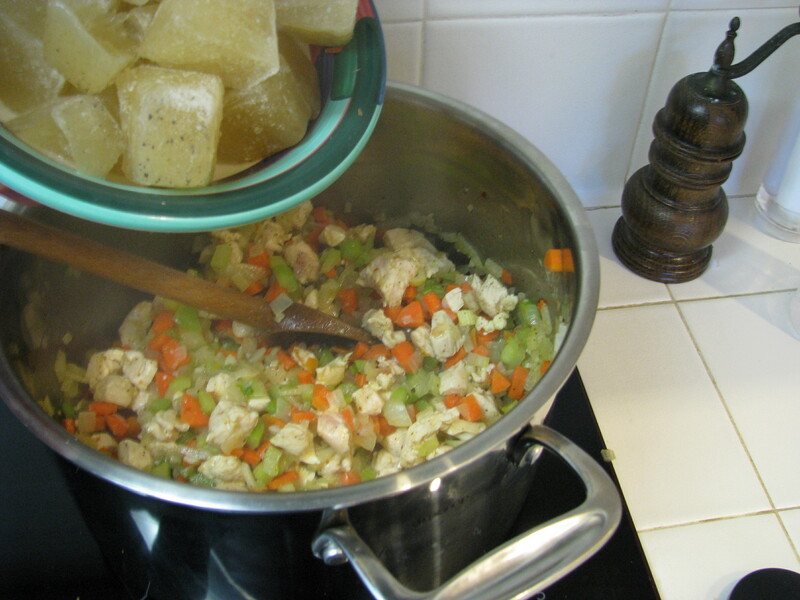 Another key to this dish is to use homemade chicken broth. Homemade broth is not just Bravado, it is much better than anything you can get in the packages and cans. Remember – always be wary of anything in a container that has printing on it. 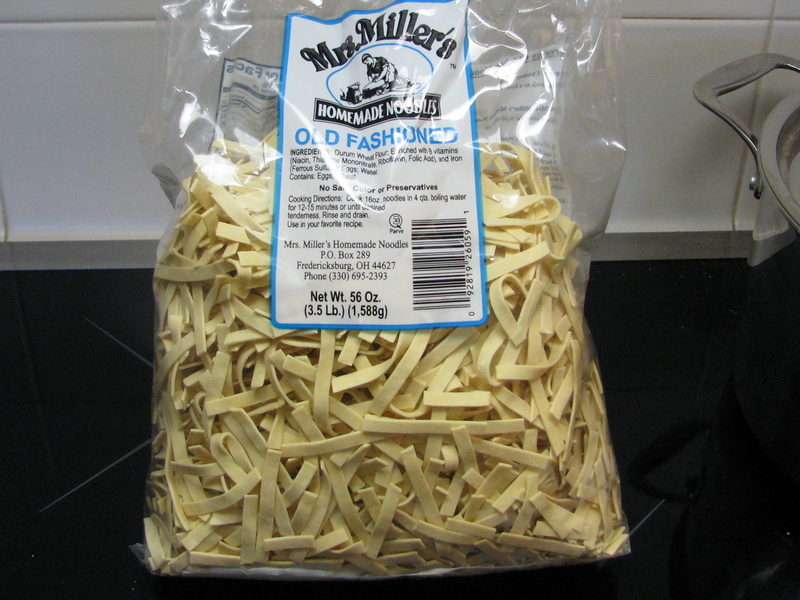 If you don’t have any homemade broth, buy a low sodium product at the store. 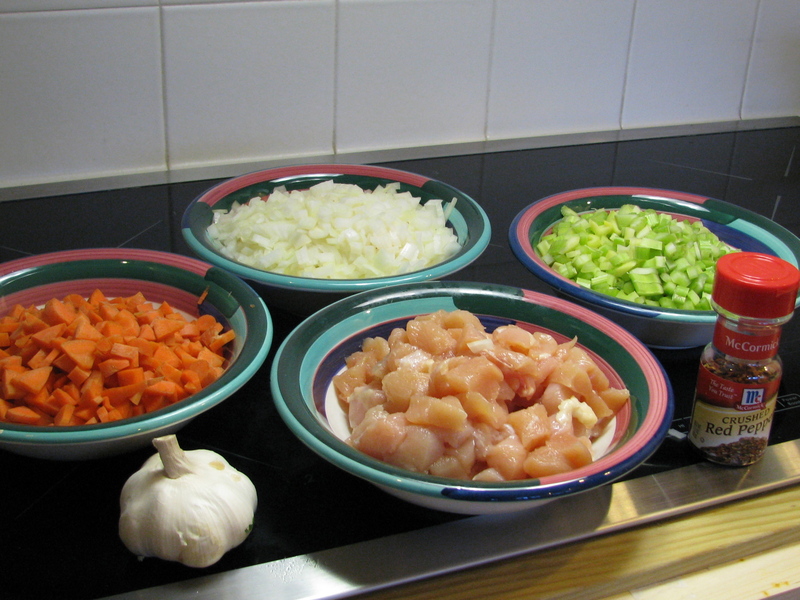 Chicken Soup: The answer lies in the stock: “Stock contains minerals in a form the body can absorb easily—not just calcium but also magnesium, phosphorus, silicon, sulphur and trace minerals.”** These minerals along with the gelatin found in stock help to boost the immune system, aid in digestion, and enhance the way our bodies use protein. 1 bag of spinach – 8 oz. Turn the heat to medium high and use an 8 qt. stockpot. Add the olive oil and sauté the onions for about three minutes. Add the garlic, salt, black pepper, crushed red peppers and the Jalapeño; mix well and cook for one minute. Pat the chicken with paper towel until dry and add to the pot. Brown the chicken for about four minutes, stirring continually. Add the carrots and celery and cook for about 5 minutes until the vegetables soften a little. 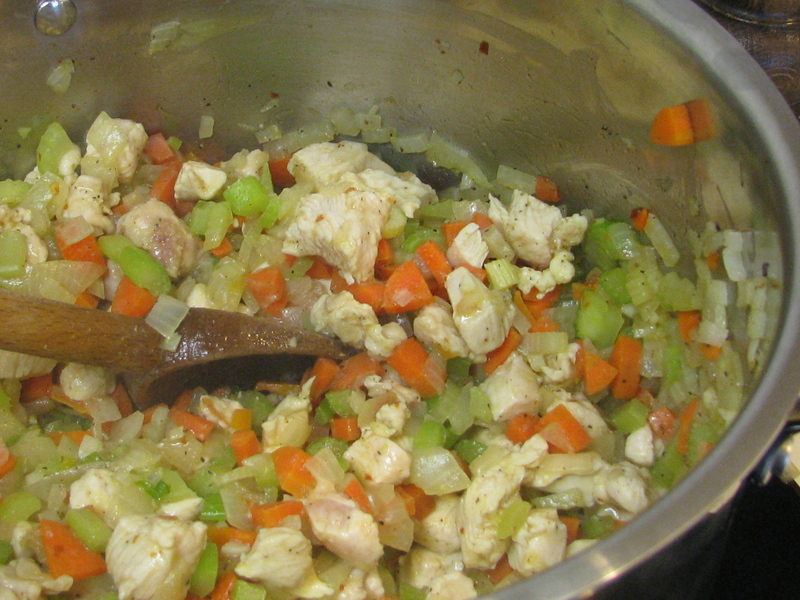 Add the chicken broth and herbs, stir well and bring to a boil; turn the heat down and simmer for 20 minutes, covered. Add the egg noodles, spinach and corn and cook on a simmer for another 10 minutes, covered. Add water as needed if the noodles absorb too much liquid. You can serve the soup with some crusty bread or, my favorite, homemade corn bread. This soup definitely increases body temperature and sweats out the toxins attacking the body – and you can prepare this great soup in only one hour. I love it!! Glad to know my chicken soup has become famous!